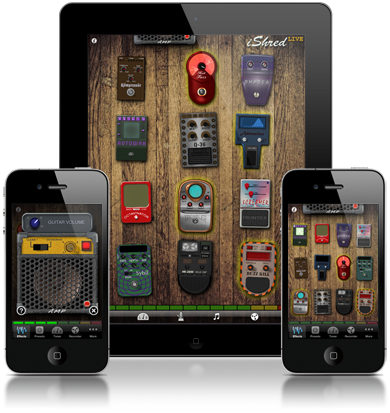 iShred LIVE - iPhone and iPad Guitar Effects! 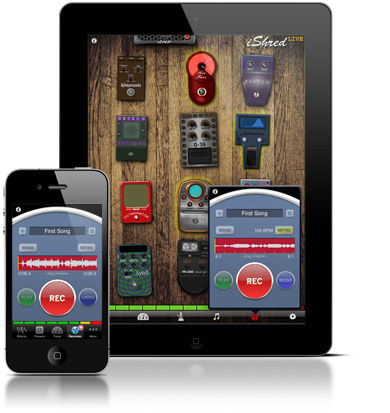 iShred LIVE takes live guitar input into your iPhone or iPad ... and lets you morph, warp and distort it to your heart's content using a dozen stompbox guitar effects. 48 slots for preset sounds. Easy to change on-the-fly, even easier if you pick up the Griffin Stompbox. Tuner, metronome, variable-speed backing track player (your files or iPod), optional multi-layer recorder, and Audio Copy/Paste support! Built in network backup and sharing means you can avert disaster as well as share your presets with bandmates and friends. 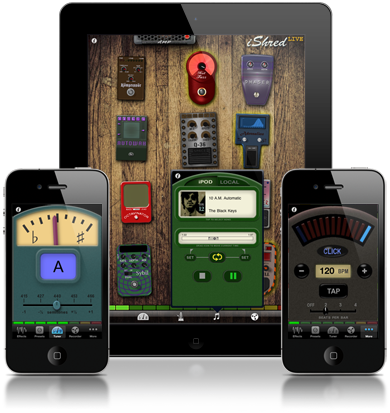 One of the best guitar app/pedal/guitar connect packages! Worth every penny. Très bonne appli, des sons sympas. La compatibilité AudioCopy/Paste est un vrai avantage. I love the fact that you can add songs from the iTunes library and play along! It is great for practicing! It is really a great app to have when you are pressed for space, like on a plane trip, and are trying to decide what to take. It's crazy, it's awesome, it's crazy awesome! From retro sounding distortions to FACE TRACKING phasers, a cheap alternative to creating great sound. Brilliant app, by far the easiest to use of all the amp apps out there, especially useful when you want to jam straight away. Good sound with the griffin cable, and the effects are cheaper than other apps and work well on a bass as well. Applicazione molto valida.. Ci si può fare molte cose! Delay function is very cool and the tuner is excellent. 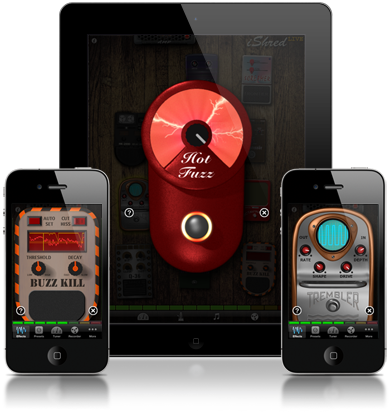 ... Best of the amplifier apps on the app store IMO. 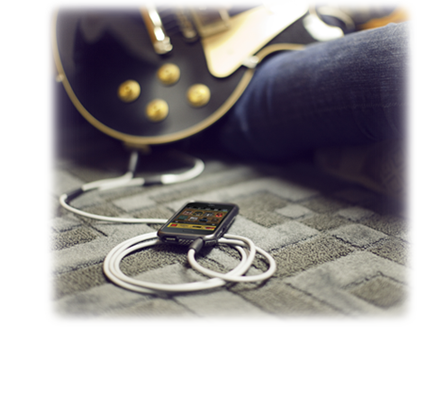 Got the app and the cable, have been using iShred with my bass. My Rick sounds pretty cool through this set up, so does my "V"
This app is awesome. Great effects and hardly any latency. It's super easy to use. The best part is that I am able to practice without waking up my kids. La mia vecchia chitarra adesso ha ripreso a suonare grazie a questo meraviglioso programma. Veramente una bella app anche con il basso elettrico.